Miami in March means many different things. First of all, it means all the college kids on the east coast are on spring break and can’t wait to go get crazy in the sunshine state. For over 30 years the WMC has gathered some cutting edge events in south Florida. 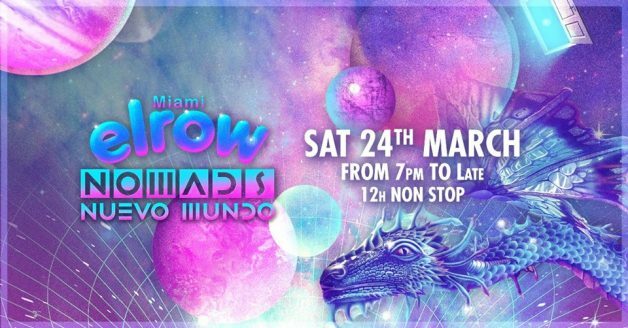 The newer version and competitor MMW – Miami Music Week, affiliated with Ultra, has now outgrown the WMC to the point where hosting a WMC is cool but not that cool anymore. 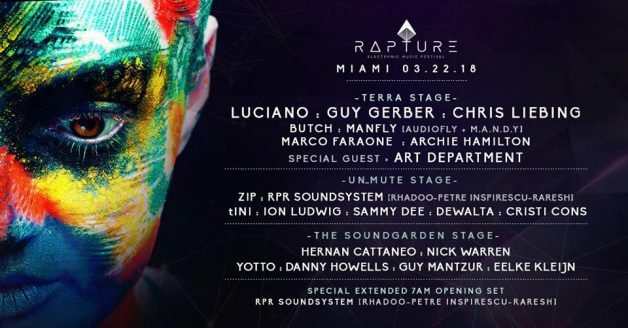 Regardless of all this acronym manias, Miami in march will feature the “creme de la creme” in electronic music with Anjunadeep, Elrow, Hyte and some rare back to backs like this inter galactic performance by M.A.N.F.L.Y (Audiofly & Mandy) at Rapture Festival! 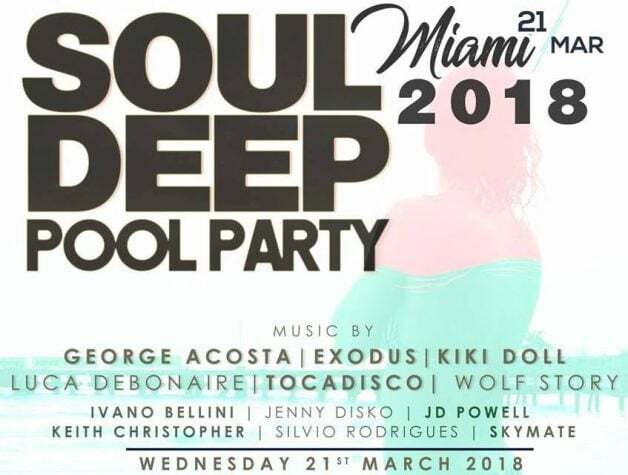 Gates hotel is hosting some of the best Electronic Dance music artists for a massive pool party on 23rd street and Collins avenue. 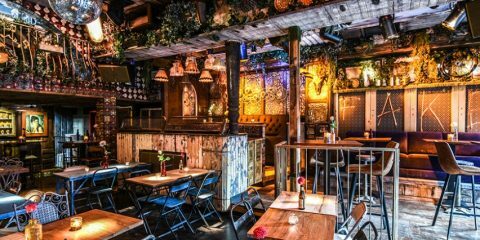 This boutique hotel will make you smile and the music providers will make you dance. George Acosta, Briant Tappert, Simone Vitullo, Adam Foster. 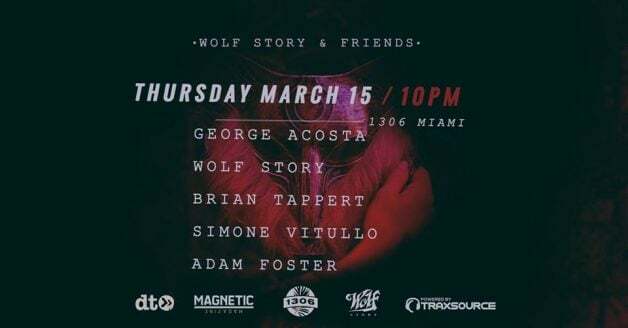 As South Florida prepares for a busy WMC, Miami duo Wolf Story will perform along side the legendary George Acosta, the man who played the first Ultra on the beach 20 years ago. 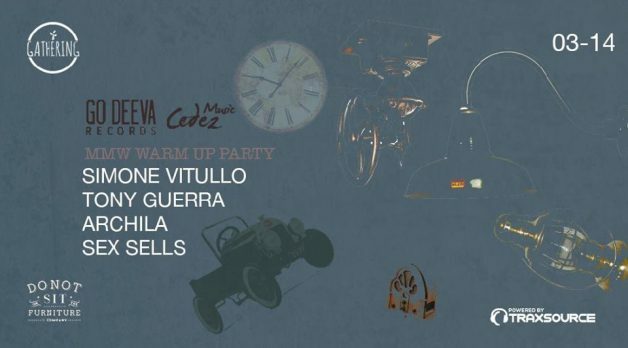 Brian Tappert, owner at Traxsource will deliver an anticipated 3 deck DJ set followed by Adam Foster from Syrup & Dialect records and Italian producer & DJ Simone Vitullo will close the night. 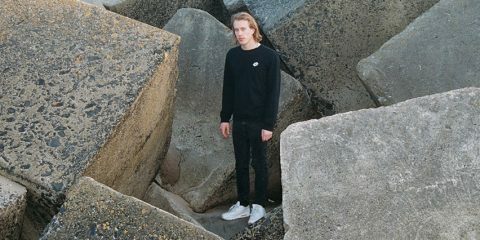 Expect some soulful vibes from those versatile DJs and quite a few surprises from “the wolfies”. This is the 2nd edition of Rapture Festival in Virginia Key Beach Park. For those who don’t know the location, Virignia Key is a little corner of paradise where swimmers, bikers or just sun-bathing beach lovers go on the weekends. 3 stages with 3 different vibes and some breath taking line ups including “MANFLY” Audiofly & Mandy, will be a must see! The best Dj in Miami Oscar G will perform along side the best DJ in Orlando, DJ Craze, a living legend. 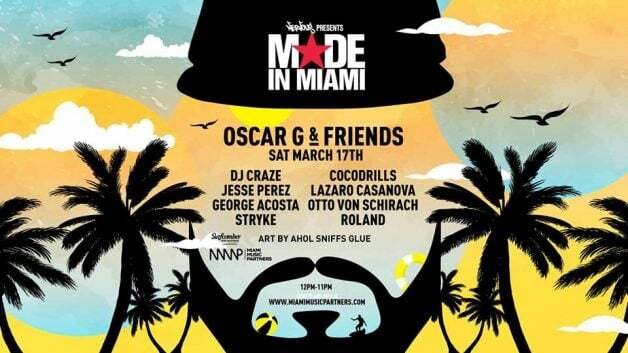 Almost all the Made in Miami family is being featured during a great day time gig for house music lovers. 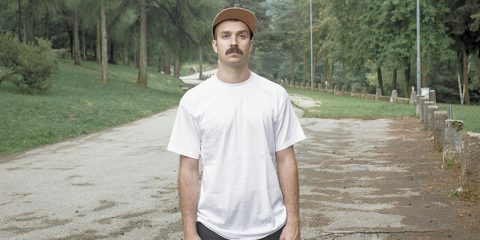 From Spain to Holland and Berlin, Hyte is making some serious noise globally. 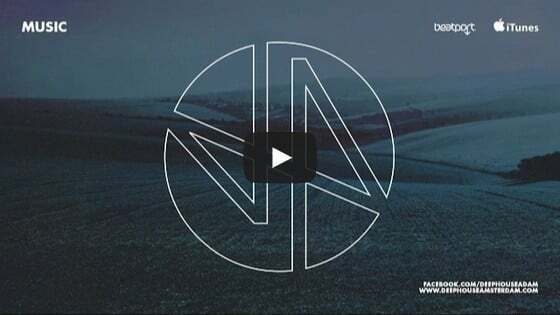 Their event at Mana last year is still being talked about, their massive residency at Amnesia last summer brought the best of the best. 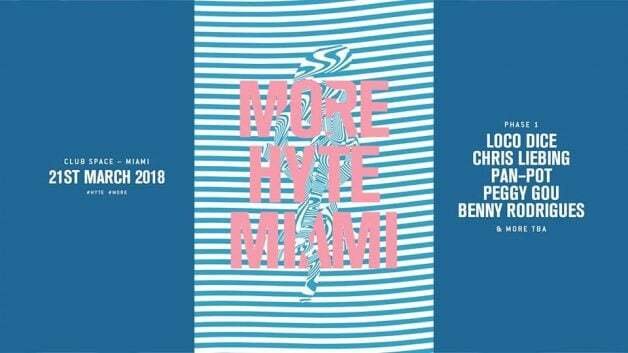 Hyte is making its debut at the infamous Space Miami, taking over 2 rooms. 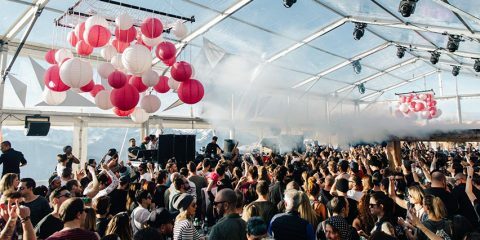 The label owned by British legends Above & Beyond is back in Miami this year at Gramps in Wynwood. They’ve built a great reputation for quality showcases over the years, you can’t miss this one! 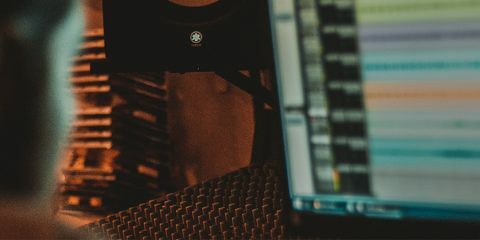 Texas based Audiophile Music Group is teaming up with Hatching Creatures, Ritmik records and retune music for an underground warehouse event in a secret location. Nervous records has been 27 years in the biz. Very few labels can claim such longevity and all of the above artists released music on the New York label. Miami’s fav DJ Oscar G will be a highlight along of this event along side the legendary Kerri Chandler.